Hi! My name is Amy Jones, I’m 10 years old and I’m from South Yorkshire. How long have you studied ballet for and what syllabus do you study? I have studied ballet for nearly 2 years and I currently study IDTA and RAD. Yes, I have done IDTA exams in which I recently received a nomination for in my Grade 4 exam, for this I will dance in the international theatre dance awards in Manchester next February. Also, I study RAD Grade 3 as well as Intermediate Foundation. How many classes do you do per week? I do 7 classes per week, on Tuesday’s, Wednesday’s, Friday’s and Saturdays at my dance school and then I travel to York every Saturday morning for my scholarship lesson at the Louise Browne Yorkshire ballet Scholarship Centre. What do you enjoy most in ballet class? I enjoy the fact that I can express myself and let myself go, I can be me. What do you not like in ballet class? I pretty much don’t dislike anything! I get told I have fairly good stage presence. I have a good technique and have the ability to perform routines with feeling and expression, however I need to work on the content of my ballet work, and conquering new things. I have won quite a few competitions for my ballet, modern, lyrical and character dances and recently the Bursary at our local dance festival. 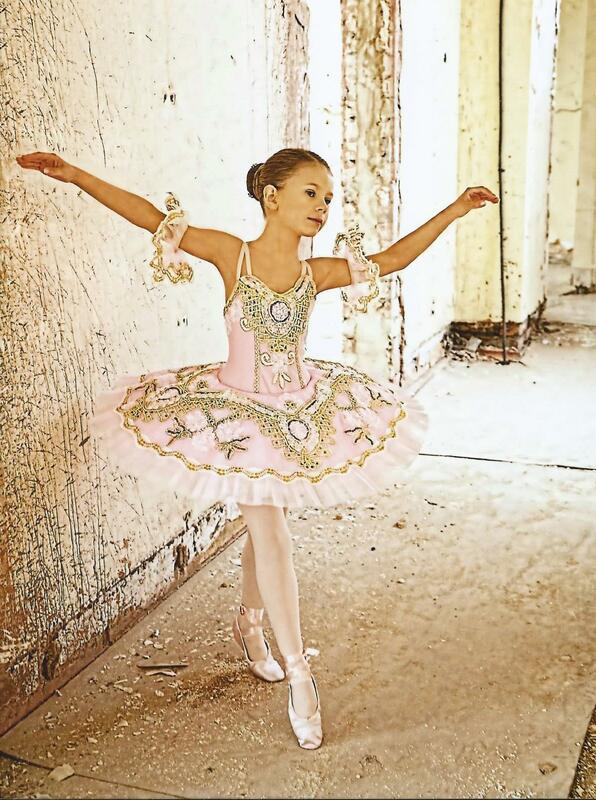 My goals are to win the International Junior Ballet Championship, as recently I won one of the six heats which has taken me to the finals at Blackpool at the Miss Dance of Great Britain. I would also be honored to be accepted at The Royal Ballet Upper School when I am 16, or become a Miss Dance of Great Britain finalist when I’m older. In addition, it would be helpful if I kept my place at the Yorkshire Ballet Scholarship Centre to keep progressing through ballet. Do you have any tips or advice for other dancers? Try hard and never give up, and remember practice makes perfect, so everything is possible. Do you take part in shows or productions? I have done one show with my dance school, Allegro and am looking forward to our next one in November which is called Shine! Also, I have worked with the English Youth Ballet’s production of Coppelia last year in York. This year I am honored to be working with them again in the Nutcracker in Nottingham in July. I was extremely lucky and was given a scholarship by them, a staggering 126 people auditioned in the junior section, so I am very grateful and excited for that. What are your favourite ballet shoes to wear? For regular ballet shoes, I love my Wear Moi leather ballet shoes, they are extremely comfortable and are perfect for ballet. For demi pointe shoes, I think Bloch are my favourite, because they’re comfortable and they fit well. Quite a few people I know have the Grishko’s, I guess everyone has their favourites. 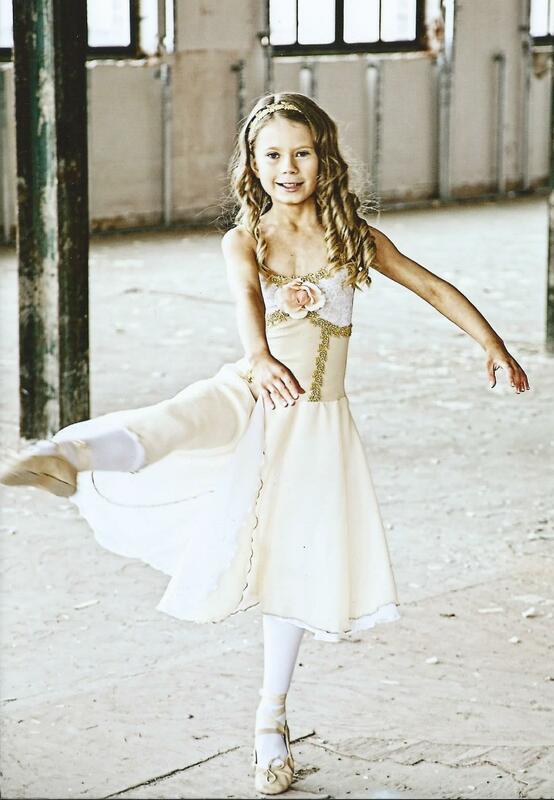 As I am only ten, I am not en pointe yet!